Ten questions about strikes and riots in Greece based on readers’ inquiries are answered below, plus travel tips and common sense. Greece is not crime-free, as no country is, and economic factors have exacerbated crime and racism. The good news is trouble spots are primarily in cities and in specific areas of those cities, with villages and islands mostly untouched. Most crime affecting tourists is pickpocketing. There is a heavy police presence in Athens and other areas frequented by tourists, with officers on motorbikes, on foot, in buses and on call. d) your comfort level with risk and the unknown. i.e., Traveling and being in a different country using a different language. Claiming that strikes ‘paralyze’ Greece is an exaggeration, unless absolutely everything is on strike for 24 hours and this is rarely the case. A majority 75-80 percent of us go to work, and family members rearrange schedules to care for children who may be home because teachers are on strike. The majority of racism impacts residents of Asian, African, Hispanic and Middle Eastern descent, regardless of nationality, citizenship or social status. A few tourists and visiting businessmen have been mistaken for illegal immigrants by police, as reported in “Tourists held as illegal immigrants, then harassed or beaten by Greek police” (BBC). This is not something new. Unprovoked harassment and discrimination have always been present in Greece and was not brought on by the crisis, nor is it cause for more alarm as suggested by the security warning issued by the U.S. Embassy in Athens. Over 15 years, Greek friends who don’t look Greek tell me they are subject to verbal abuse from fellow citizens, and readers have complained that they were mistreated at Greek embassies/consulates in the United States, UK and other countries worldwide. The only reason it now makes news is because Greeks elected neo-Nazis to Parliament, after which it became commonplace to be overtly violent and abusive toward non-Greek, non-white foreigners. Most victims stay quiet because police are often complicity and do nothing, so it “doesn’t exist.” And if foreigners do complain, they are told to leave and go home. 2. If I avoid Athens, will I still be affected by strikes? Depends. Many strikes are nationwide, and protests often occur in Thessaloniki and other cities across mainland Greece and the Greek islands. Skipping Athens does not necessarily guarantee a trouble-free life or vacation. 3. Why are people striking/protesting? Strikes and protests are a quintessential part of life in Greece and other Mediterranean countries, such as Spain and Italy. Some strikes are in protest, some in support. They can last a few hours, a few days or a few weeks. The world only hears about them more often because Greece makes headlines alongside the debt crisis, IMF/ECB/EU and eurozone. 4. Don’t strikes hurt Greece? What’s the point? On one hand, people say that all news is free publicity, and people who want to see Greece will still come. On the other hand, there is evidence that strikes have cost Greece and local businesses millions in much-needed revenue — cruise lines altered their itineraries to skip Athens, hotels see increased cancellations after ‘riots’ are shown on TV, more tourists fly direct to islands or go to Turkey, and negative reviews spread in forums and amongst friends. No matter how sympathetic someone may be to our troubles, no one likes losing time and money or being denied entry to the Acropolis after waiting a lifetime to see it. Greece is the “land of me.” Strikes are rarely decided by referendum, so they often represent a minority of people and impact a majority. People use the word ‘solidarity’ a lot, but Greek life still centers on family and not far beyond that. Another popular phrase is, ‘We’re fighting for our rights,’ yet 100 people will have 100 different versions of what that means and no plan of action to counter the policies they oppose. 5. Will there be riots? The word ‘riots’ conjures images of reckless destruction and buildings on fire. This has happened twice in four years: Once in December 2008, a three-week event sparked by the shooting of a 15-year-old boy; and again on February 12, 2012, a several-hours riot that took place while Parliament debated ‘Memorandum 2.’ On May 5, 2010, three Marfin Bank employees were killed in an isolated but equally tragic incident while Parliament passed ‘Memorandum 1‘; and two men died of heart attacks while participating in protests on October 20, 2011 and October 18, 2012, not from tear gas or being hit with rocks. In “With Greece, don’t believe the fights,” I was the first in international media to explain that riots are caused by small groups of hooded persons hanging on the fringe of an otherwise peaceful protest (after which the New York Times and Economist “repurposed” my commentary a few days later without credit). They come armed with sledgehammers, gas masks, Molotov cocktails and intent; and riot police lay in wait. These disturbances typically last only minutes, just long enough for international media to get the footage and photos they secretly wish for. The word ‘riot’ is defined as: A violent disturbance of the peace by a crowd, or an outburst of uncontrolled feelings. By definition, the media are correct to use it. It’s also a four-letter word that fits neatly into a space-restricted headline and entices you to click and read on. By representation, those minutes do not accurately portray an hours-long or day-long demonstration by peaceful protesters who several times stopped infighting and outbreaks of violence. However, as a friend rightly pointed out, perception is reality. People trust me because I tell it like it is, but there’s nothing I can say or do to calm you if your mind is made up. What do want your reality to be? 6. What about the photos and footage I see on the news? Photos, videos and live footage of conflict and things on fire are real, no doubt. But remember that these are snapshots of a moment, and media agencies are in business to make money. Protests and strikes in Greece have a predictable rhythm and progression, and local media and long-time correspondents who live and work in Greece understand that. Greeks abroad who parachute into Athens for a one-off report can sometimes be clouded by nostalgia, and information from foreign correspondents who live elsewhere is less reliable because they fly into Athens with the specific purpose of gathering “exciting” footage and do not understand the language and culture. As a result, they don’t ask the right questions, wrongly interpret what’s happening and end up portraying Greece and Greeks inaccurately. * Protesters are hostile toward foreign correspondents for this reason, and residents laugh at their ignorance and then try to undo or live with the damage. Headlines splash words like “violence erupts, cripple, embattled, clash, still at war, Athens on fire, descending into chaos” because they have three seconds to get your attention. Photographers get published because they produce something amazing to look at, so it’s in their interest to file photos the public wants to see. 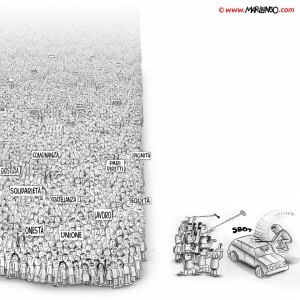 Want to see what a Greek protest looks like 99.5 percent of the time? See Der Spiegel’s gallery from July 18, 2013; or 1-4 of The Guardian’s Slideshow from June 28, 2011. 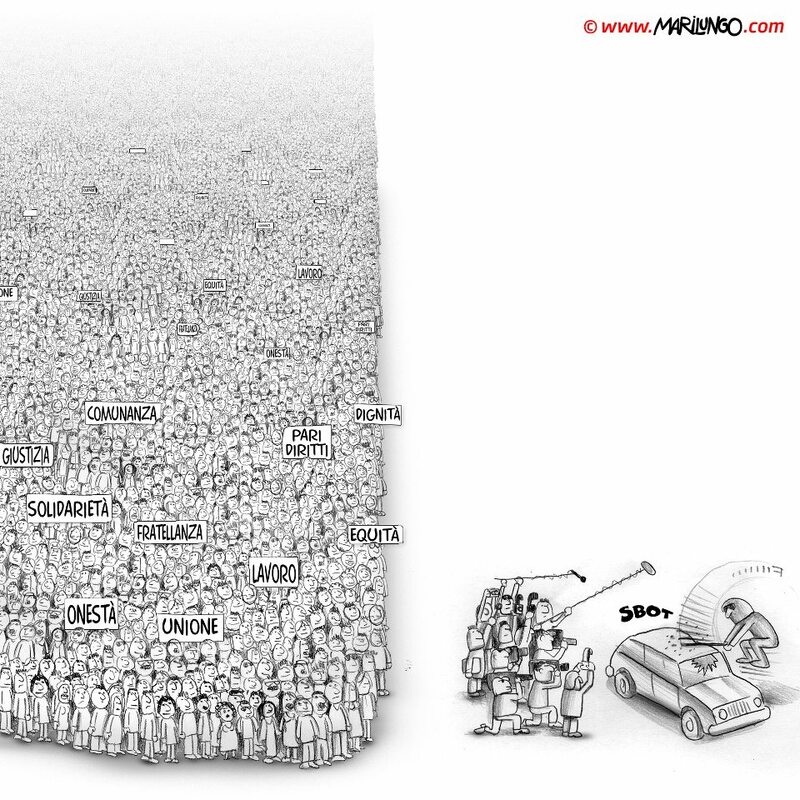 Editors must decide if stories are newsworthy, and what happens at the majority of protests would not make the cut. This is why you only see those few minutes. It would be easy to fault journalists, but they’d have nothing to capture and police would have no one to suppress if nothing happened, so fault falls squarely on the troublemakers. The media and audience also feed off each other — if the general public didn’t want to see the photos and footage, the media would not provide and replay them. Reporters are not perfect, but the public will blindly trust them — especially if backed by a brand name — and want their views validated, however wrong. a) A BBC correspondent called the mountza “finger pointing/waving,” which was one of a dozen errors he made. He eventually corrected himself and hired a local Greek fixer, but not before spreading misinformation on several occasions. Hilariously, he now has a book on protests. Even sadder, people think he’s a great reporter. b) The Daily Mail reported that 5 million Greeks are fare dodgers because the writer observed that no one had an Athens metro ticket or validated it in the machine. The truth is, most residents have prepaid monthly cards and are not obliged to buy or validate a ticket. No correction has been issued. 7. Will there be tear gas? Depends. Riot police use tear gas and flash grenades to disperse crowds that appear to be getting temperamental. If the crowd is peaceful, there’s no need. In live broadcasts and live blogging/tweeting, foreign correspondents and so-called citizen journalists intentionally wait in sensitive areas with gas masks or head into an area of conflict, then complain of being tear-gassed. 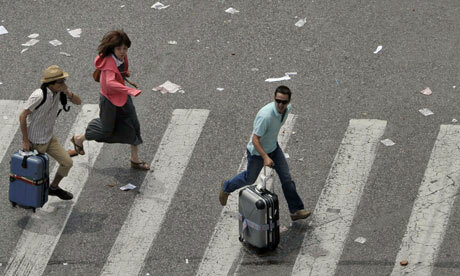 Do not follow their example, and do not be a riot tourist. Use common sense or accept the consequences of your actions. If you are caught off guard, go immediately inside a hotel/store to recover or to a hospital if it’s more serious. Hot spots are well known, and your hotel concierge or a local person can advise you on how to avoid them with alternative routes. 8. Are Greeks resentful toward tourists? Residents and business owners of all nationalities are grateful you chose Greece for your vacation/holiday. The majority of businesses, companies, cafes and restaurants stay open during strikes because we are fighting for survival and need your patronage. Above all, we want you to have a good time. If you experience resentment or racism, these are qualities specific to the individual. It’s not an excuse, but we’re all human with our own problems and fair share of bad days. 9. When will the next strike be? Will ___ be on strike when I come to Greece on ___? Where can I find information on strikes? Be honest about who you are and what you’re willing to accept: If you want things your way or like the security/comfort of known factors, there’s nothing wrong with booking a package tour or all-inclusive resort where risk is minimized (if sanitized) and problems solved by someone else. Consider travel insurance: Some policies pay out if your flight is canceled/delayed or you’re otherwise inconvenienced. Read the fine print: Does your credit card protect you if the ____ company or hotel goes bankrupt? Is your plane ticket refundable, non-refundable, changeable for a fee? Will you be charged a night’s stay at the hotel if you arrive late? Is your booking agent available 24/7 if something goes wrong? Do you have a backup plan, if stranded? Select a different country: If you expect schedules to run on time, transparent information, clear solutions and everything in English, Greece may not be the country for you. Be open and try embracing the beautiful chaos. Greece is not always white sand, white pillars and whitewashed houses. Things can go wrong, but realize that we are here to help and the most memorable moments in life are those you didn’t plan. Livingingreece.gr was created in 2007 to present meticulously researched original articles that fill a gap left by traditional media, government portals and commercial websites run by people without credentials. Note: Please note my copyright policy and be aware that violations will be pursued. On Saturday there was a strike by the cowards at traffic control to punish the tourists and passengers. 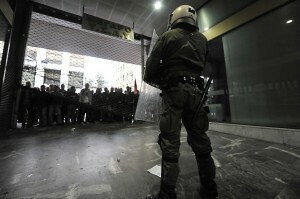 Did the Greek government gave up to any demands after many years of strikes? No! Thank you for the information you provide, especially the strikes page. I landed in Greece last night, and it looks like my 2.5 day trip might be spent documenting trash piles, transport strikes and museum closures 🙂 At least I know what to expect, thanks to you. What’s happening now is reality, good or bad. Better to be here now than next week when the real Hellas begins; better to know than not know. Hi, I am a Hungarian citizen and following your news from Budapest. I just would like to let you know, you have readers even from here.. 🙂 Thanks for sharing the latest updates.. 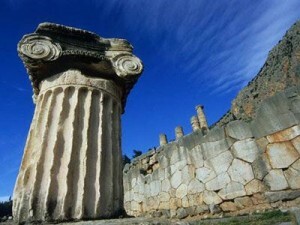 I love Greece, and the greek people, and really sad to see what happens with their country.. I am planning to travel to the cycliades islands again this summer, do you think is it safe to travel through Greece and the islands nowdays? Do you think Siriza is going to win the election in 17th of June? thanx for sharing your info..
I’ve already answered whether I think it’s safe to travel in Greece and the islands; what matters is what you think. I do not wish to publicly express an opinion on elections.